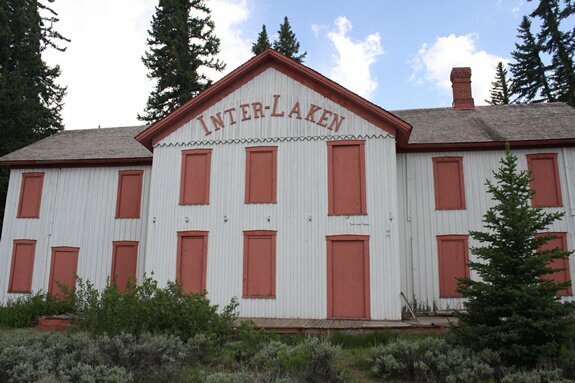 Interlake was not a ghost town, rather a historic resort from the late 1800s. Before the lakes at "Twin Lakes" were dammed up, people would come from all over the world to stay at the prestigous resort. After the lake was dammed and flooded, the resort was not much more than a boarding house, and eventually closed after WW1. It was moved 150ft to higher ground to prevent rising lake water from damaging it. 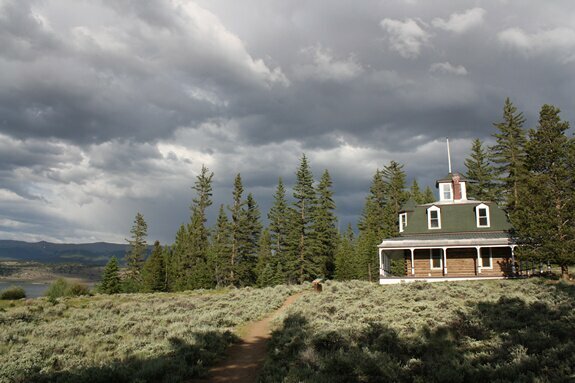 Oh, and my GF swears it is haunted. Displaying Interlaken photography page 3 out of 3. Date Taken: 2011:07:08 18:21:09 Want to use this image? See the More information tab. Date Taken: 2011:07:08 18:21:51 Want to use this image? See the More information tab. Date Taken: 2011:07:08 18:23:07 Want to use this image? See the More information tab. Date Taken: 2011:07:08 18:24:49 Want to use this image? See the More information tab. Date Taken: 2011:07:08 18:30:06 Want to use this image? See the More information tab.